A simple smile, or “good morning”, could change someone’s entire mood today. Practice being pleasant. 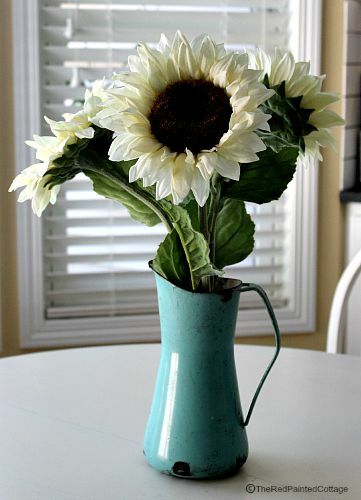 Here it sits on our kitchen table with beautiful big white sunflowers. I love the chippy look and the bumps and bruises it’s endured over the years. This pumpkin weights a ton, well…not really. It’s only 2 pounds in weight, but that’s still heavy for a faux, cloth pumpkin. And I love the neutral color, the writing on it, the squiggly vine and the price, $7.99! 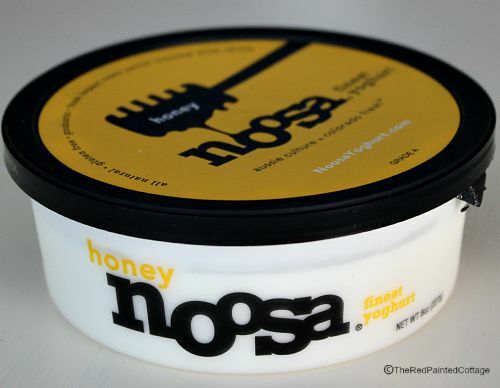 I have been meaning to write about Noosa for sometime. I am not being sponsored or paid for this, but I would be more than happy to be their spokesperson! 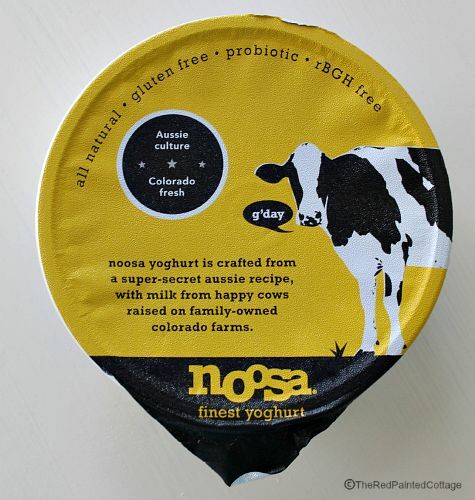 It’s the BEST new food item I’ve tried that I love. Have a simply wonderful day today, from me to you! 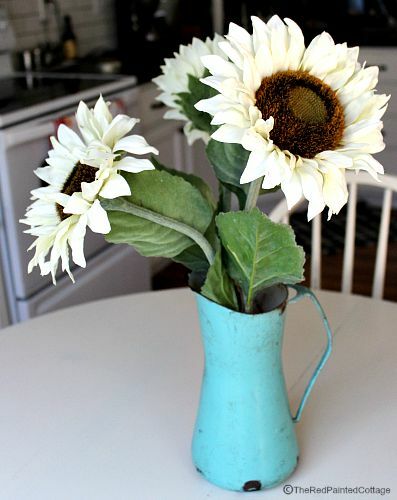 I adore the chippy turquoise pitcher, Carol, and the white sunflowers are beautiful! I haven't seen white ones before....I'll have to look at Trader Joe's. 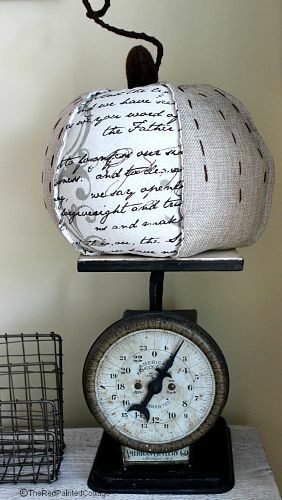 That is some cute pumpkin, & you found just the perfect spot on your old scale....love that! Thank you for stopping by my blog for a visit and leaving me a sweet comment and encouragement. I honestly have the best blog friends, and you all help keep positive as I move through this "season" of my life. Just found your blog through Cozy Little House. Can't wait to scroll back and see more.The aqua vase is adorable!